Alex and Danny got married here at Ever After in August. A day filled with traditional elements made for a beautiful, classy wedding. These moments of bride Alex captured first in the silvered mirror of our honeymoon cottage, then walking through the garden with her father to the wedding barn and finally with groom Danny on the river walk are timeless images. Alex chose award winning local florist Amanda Randell to decorate a wooden arch for the wedding ceremony, supply the bridal bouquets and create the centrepieces for the wedding breakfast tables. 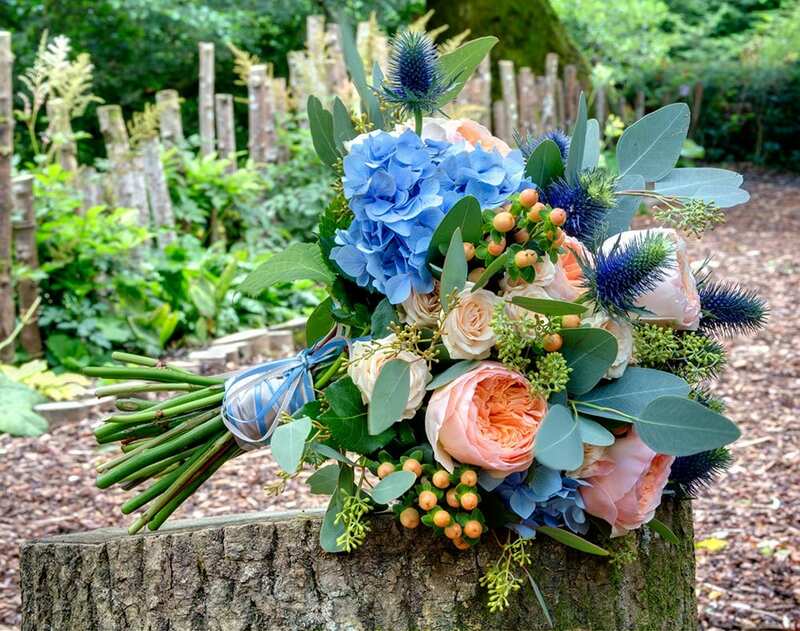 We loved the mix of blue hydrangeas, cafe au lait dahlias (my personal favourite this year) vuvuzela roses and erygnium (the ones that look a bit like thistles), a perfect colour combination. Amanda also supplied the flowers for the cake which was made by a family member. 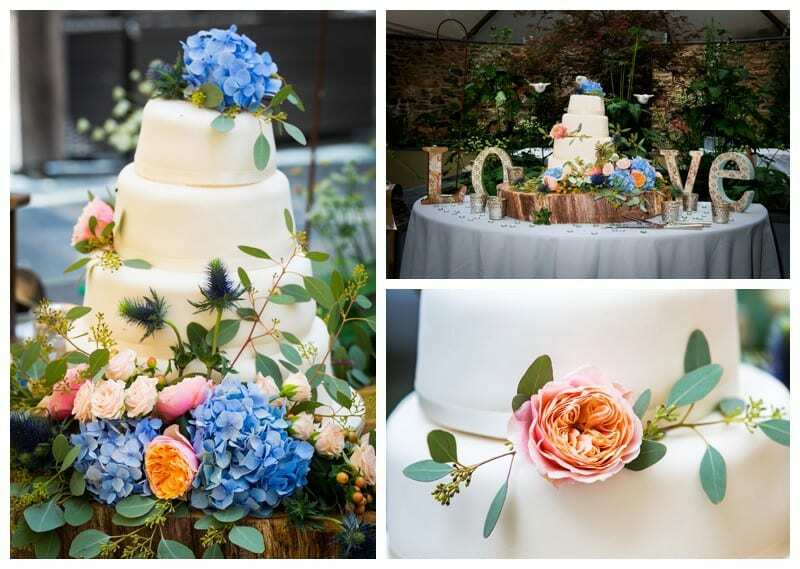 The cake itself had been simply decorated with white royal icing and was transformed into something truly spectacular by Amanda with flowers to match the other florals. We supplied a large log slice to act as the cake stand and decorated the table with some of our metallic tea lights and the ‘LOVE’ letters supplied by Alex. 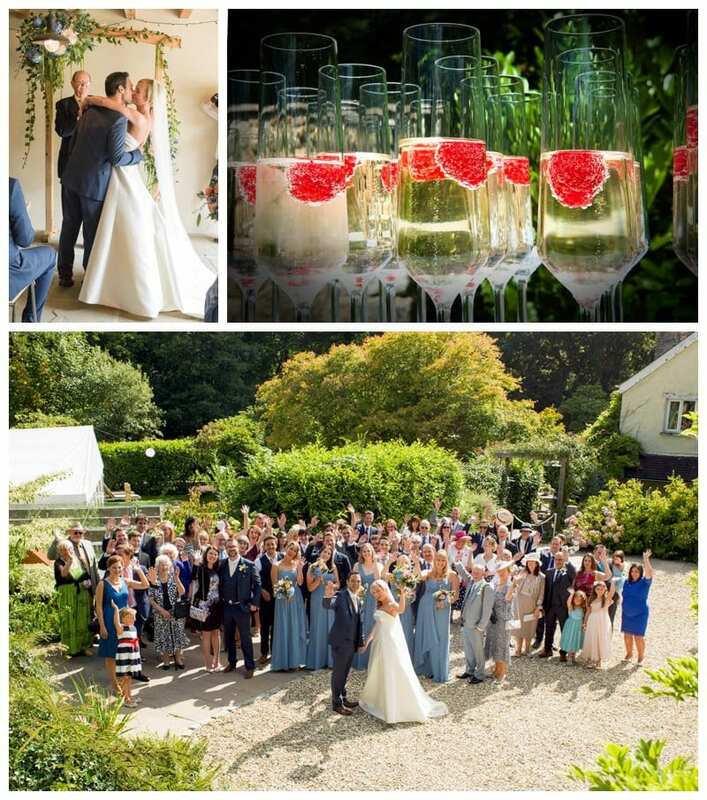 After their wedding ceremony in the barn, Alex and Danny led their guests outside for a group photo before hosting a celebratory champagne drinks reception on the lawns – it was effortlessly elegant. 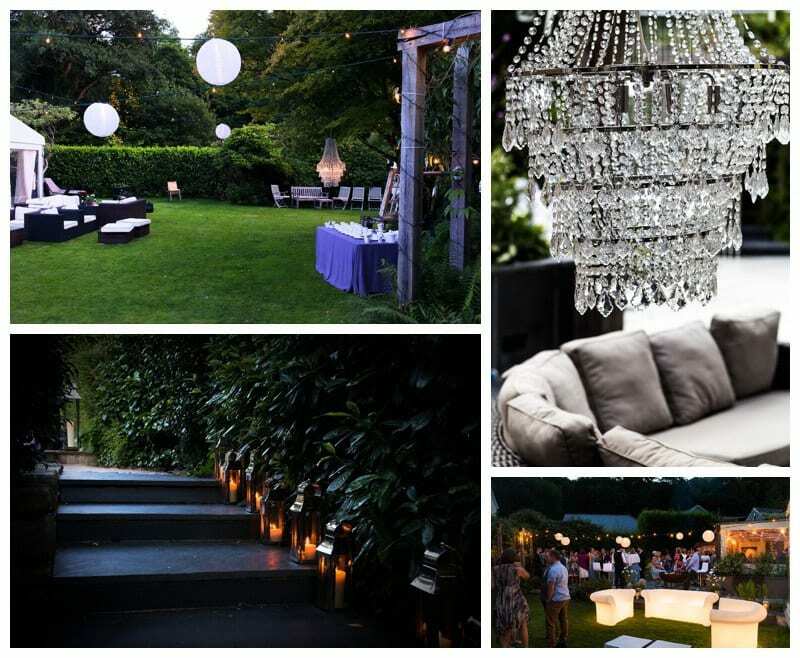 Later on the chandeliers Alex and Danny hired from the lovely Elle at Inspire Hire, our tealights, steel lanterns and light up furniture really came into their own and lit up the gardens for the evening. Tea and coffee was on offer to guests under the acer tree and many guests sat outside and enjoyed the balmy weather. 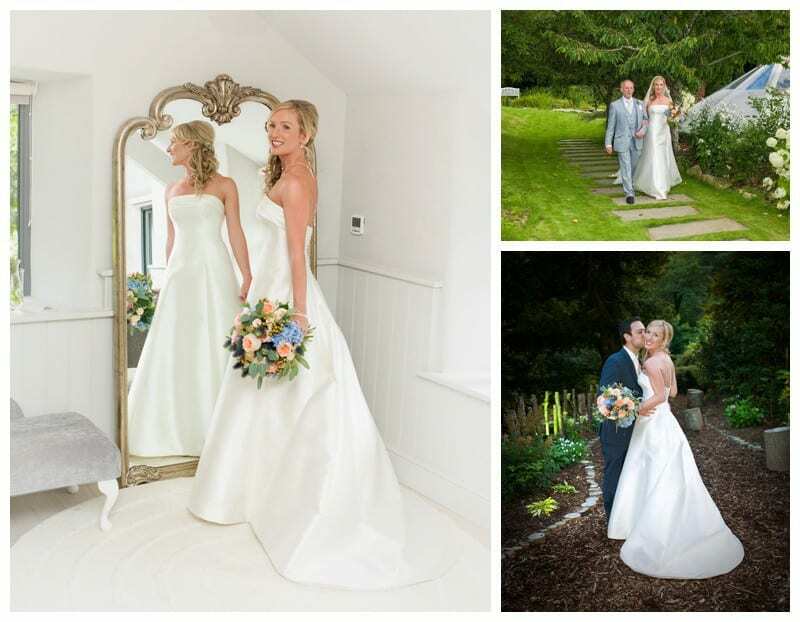 All in all, another super stylish English garden summer wedding here at Ever After. See more of Alex & Danny’s wedding here on our real weddings page.